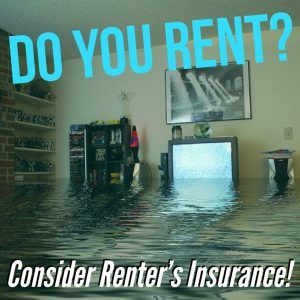 People who aren’t located in flood zones, such as from Alliance to Dover, sometimes mistakenly think that they don’t require water and flood coverage on their homeowner’s insurance policy. So, who does need this additional coverage to protect their home from sump pump failure and water backup damage? There is no specific time of year when an electrical appliance can fail, and a sump pump is exactly that. It can fail right before a light all-day sprinkle or it can break down right when the spring thaw hits — meaning any home with a basement is subject to flooding. Individuals can avoid a financial disaster with the addition of this small extra coverage to their policies. Any water can damage belongings, but the damage imparted by waste water, from smell to bacterial load, can be extensive and add up quickly. Homeowners in older areas where the public water system infrastructure has had years of wear and tear find that it may behoove them to invest in the additional sump pump and water backup insurance. 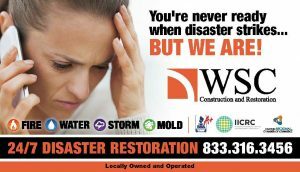 Any homeowner can Google the steps that are necessary to dry out their homes after a flood and do it themselves, but it is best left to the 24-hour water and fire restoration services from WSC Construction and Restoration to avoid the need for mold remediation if the cleanup wasn’t done perfectly. Anyone from Youngstown to Ravenna who has walked into their basement and unexpectedly had their day ruined by two inches of water knows that the job ahead of them is unfathomable. 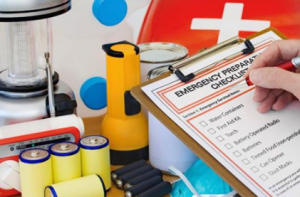 In order to lessen the anxiety associated with the task ahead, their first call should be to this local disaster restoration company. They will not only assist from the moment they are called by talking to the insurance company, but they also offer home improvement financing for those who find that they weren’t prepare in coverage. This local home remodeling company extracts the water, dries and dehumidifies the affected area, cleans and sanitizes so no mold can grow, and uses their remodeling and construction services to restore each home to its former glory. WSC Construction and Restoration has a reputation for their professionalism and quick response time with their 24-hour restoration services when anyone from Dover, Ohio, to Alliance, Ohio, discovers that they need residential water or fire restoration, or mold remediation. 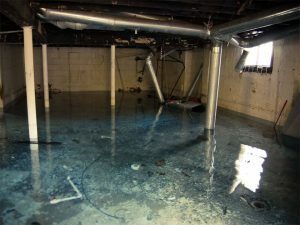 The best advice that this local disaster restoration company can give every homeowner from Ravenna, Ohio, to Youngstown, Ohio, especially with a basement, is to ensure that their homeowners’ insurance policy has the additional protection from sump pump failure and water backup damage for their home and belongings. An individual needs to only make one phone call during a crisis and that’s to this local home remodeling company, as they are there to take away the stress involved from beginning to end — including calls to the insurance company, cleanup, and remodeling and construction services. Anyone who has taken advantage of the experience and knowledge of WSC Construction and Restoration will attest to the fact that there is no need to ever use another company. This entry was posted in Home Improvement, Mold Remediation, Water and Fire Restoration and tagged 24-hour restoration services Dover Youngstown Ravenna Alliance Ohio, home improvement financing Dover Youngstown Ravenna Alliance Ohio, local disaster restoration company Dover Youngstown Ravenna Alliance Ohio, local home remodeling company Dover Youngstown Ravenna Alliance Ohio, mold remediation Dover Youngstown Ravenna Alliance Ohio, protect from water backup damage Dover Youngstown Ravenna Alliance Ohio, protect home from sump pump failure Dover Youngstown Ravenna Alliance Ohio, remodeling and construction services Dover Youngstown Ravenna Alliance Ohio, residential fire restoration Dover Youngstown Ravenna Alliance Ohio, residential water restoration Dover Youngstown Ravenna Alliance Ohio, WSC Construction and Restoration by admin. Bookmark the permalink.